The blue seas are beautiful and the life under the blue seas is even more beautiful. The wonderful sea life is not just colorful but reminds one of some fairy tale like scene. The cool and clean pristine waters and the colorful sea life is a soothing scene for sure. Scuba diving is one sport that will help you see the beauty undersea. 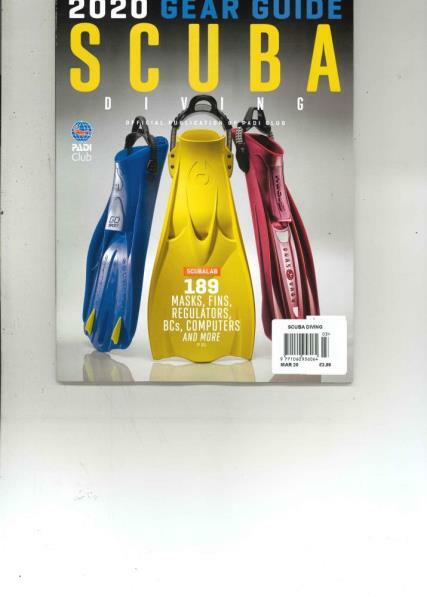 For all those scuba diving enthusiasts the Scuba diving magazine is a perfect way to keep in touch with the sport in spite of the busy schedules. This magazine has all the information that one would want to know about Scuba diving. It has articles and details about the training, views and reviews on the gear and travel information. There are forums where one can discuss about the latest on scuba diving. The magazine also has candid interviews about professional scuba divers and their experiences. The magazine broadly covers everything that one needs to know about Scuba diving. So whether you are a pro, an intermediate or a novice, this magazine has something for each of them. What makes the magazine even more interesting is the fact that it is written, edited and illustrated so well. The amazing pictures and in-depth details about the gear will help one understand the sport very well. There are a number of magazines on the various types of sports but this one on scuba diving is the best and the most popular of them all. The magazine can be subscribed to get the latest news in the world of scuba diving. The annual subscription is most recommended because it helps one save money.